Thirty six shot colorful finale cake! 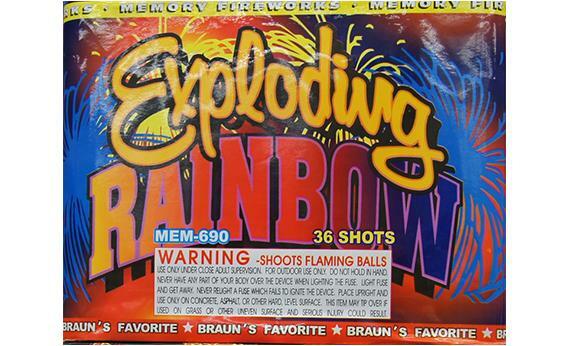 This 500 gram multi shot has crackling tails and a ten shot finale. Sells out every year!